Using the adidas multi-gym Essential Elite, you can do a complete training for the whole body on a small space. 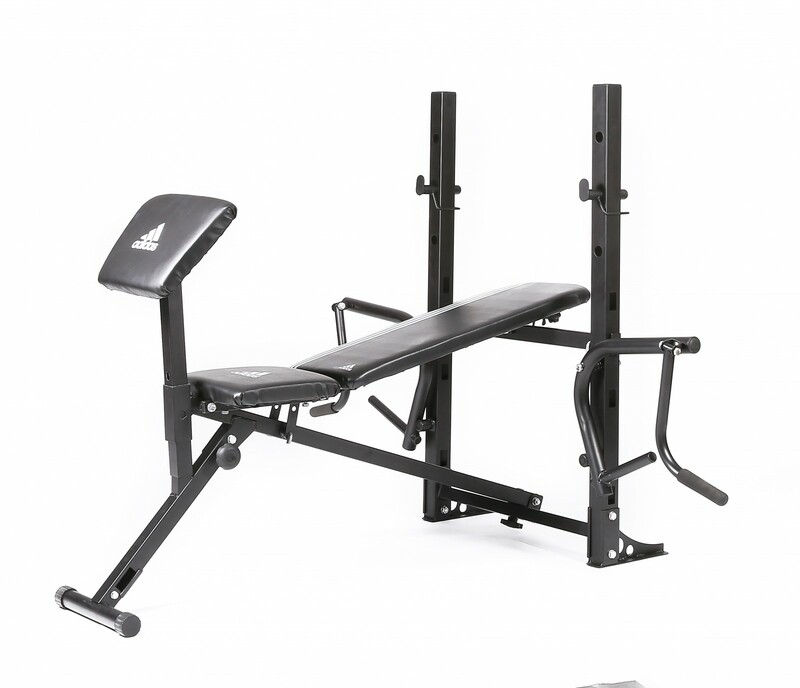 The well padded backrest and a sturdy barbell rack render a good and safe experience while doing a bench press. Due to versatile attachments, you can train the leg extension and curl, you can train the biceps, triceps, and shoulder muscles with the curlpult or you can train your upper body with the lat pull. The backrest is three times adjustable in incline and is adjustable in decline.